>this and what color is it. I just did mine this last weekend. In the manual it is wire 3C. 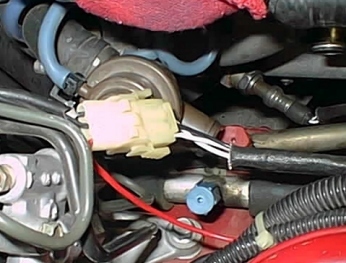 It is a black wire that is on the second from the top wiring hareness on the ECU. It is on the lower row of wires on the harness, facing the passenger outside part of the car. It is then the second wire down from the top of the harness. I already had my ECU out so it was fairly simple, except for it being in the confined area. Date: Tue, 1 Feb 2000 18:21:03 -0500 From: "Buras, Keith"
The socket I'm looking at is an O2 sensor socket. They listed it as 7/8" and I wanted to make sure it was the right size for our O2 sensors. Chuck Westbrook has already confirmed that it should be the right size. And BTW www.freightharbor.com has them for $4.99. 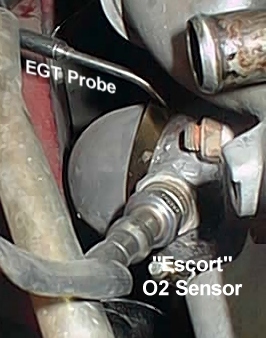 I've never seen them before, so I ordered one after remembering what a pain it was removing the O2 sensor each time I installed the downpipe.